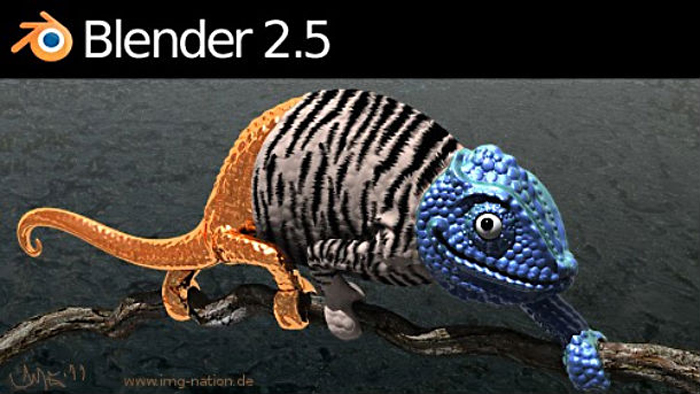 “This is the first stable release of the Blender 2.5 series, representing the culmination of many years of redesign and development work. “We name this version ‘stable’ not only because it’s mostly feature complete, but especially thanks to the 1000s of fixes and feature updates we did since the 2.5 beta versions were published. Partly developed for work on last year’s ‘open movie’, Sintel, new features in the 2.5x series include a redesigned GUI, rearchitected Python support, a radical overhaul of the animation system, improved sculpting tools, new smoke simulation and volume rendering systems, and much faster raytracing. All excellent news for Blender users. The only fly in the ointment? As BlenderNation points out: 2.57 boasts the ugliest splash screen the software has had in years.